Paraiba tourmaline is one of the most exciting gems to be discovered in the last 100 years. The rich neon blues are due to the presence of copper in the gems crystal structure. 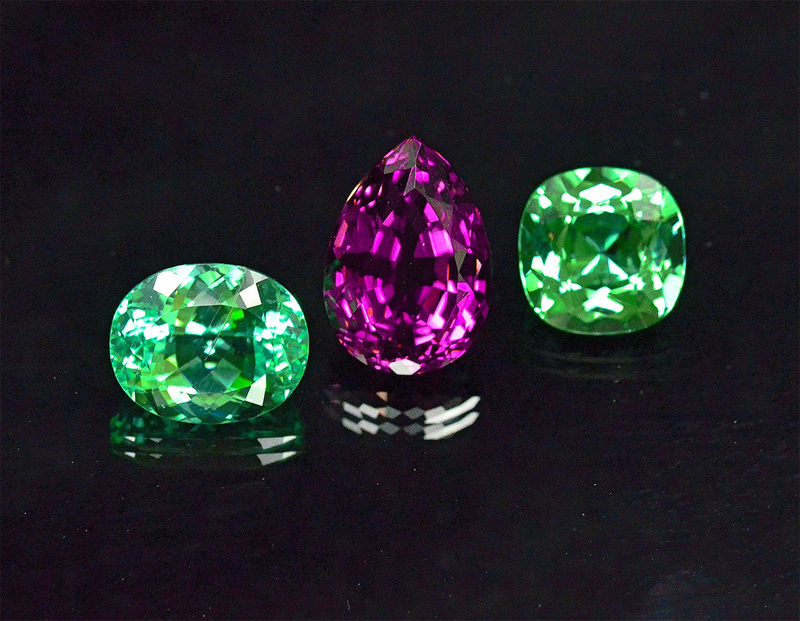 Originally discovered in Brazil and more recently in Nigeria and Mozambique, it is truly one of the most beautiful colored gemstones. 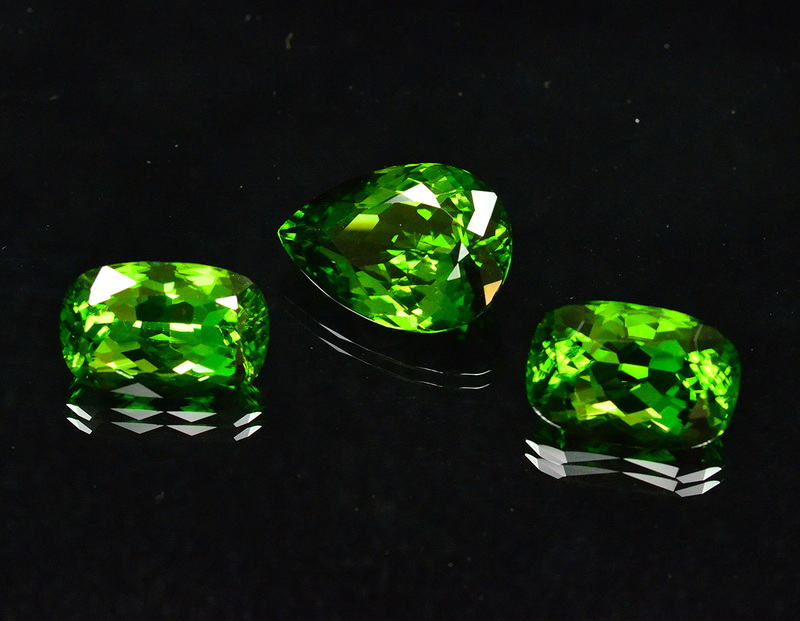 Peridot , the birthstone for August, is a lively green to golden green gemstone. Our Peridot comes from the San Carlos Apache reservation in Arizona or the mountains of Pakistan. We carry small melee, calibrated singles, large free size stones, as well as pairs, trios, and suites. Rubellite is the red variety of Tourmaline. It comes in colors ranging from hot reddish pink to deep ruby red. This unusual form of tourmaline is a great ruby substitute at a fraction of the cost. 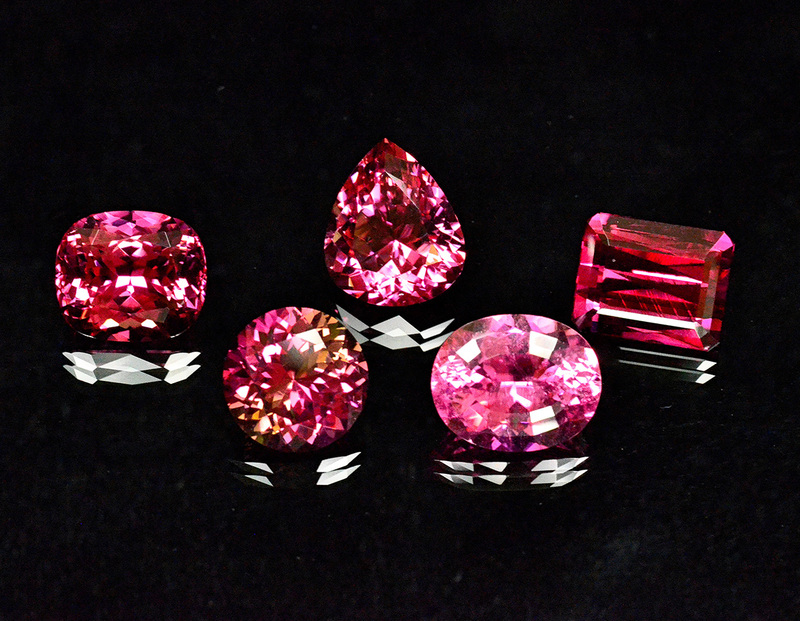 We have a large selection of Rubellite in a variety of hues from small, calibrated sizes to large single gems. 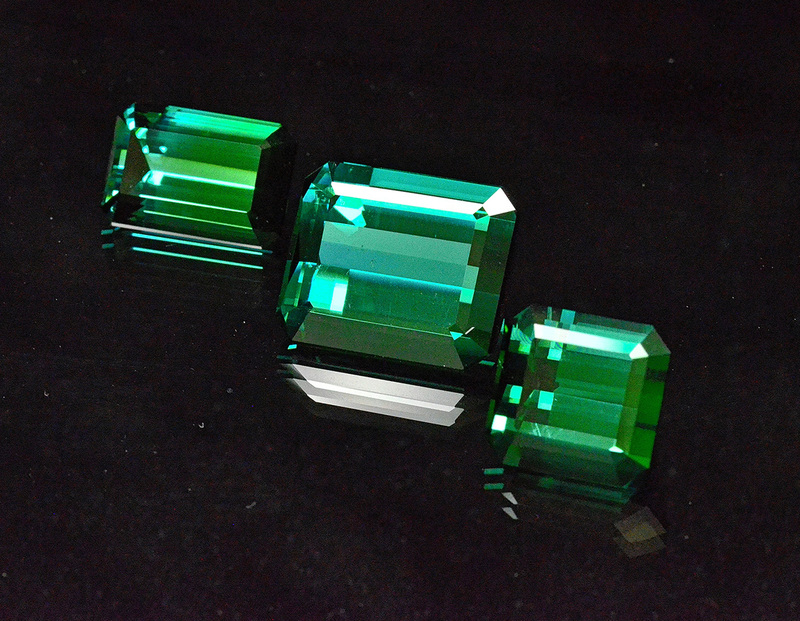 Blue green tourmaline and indicolite is another popular gemstone. 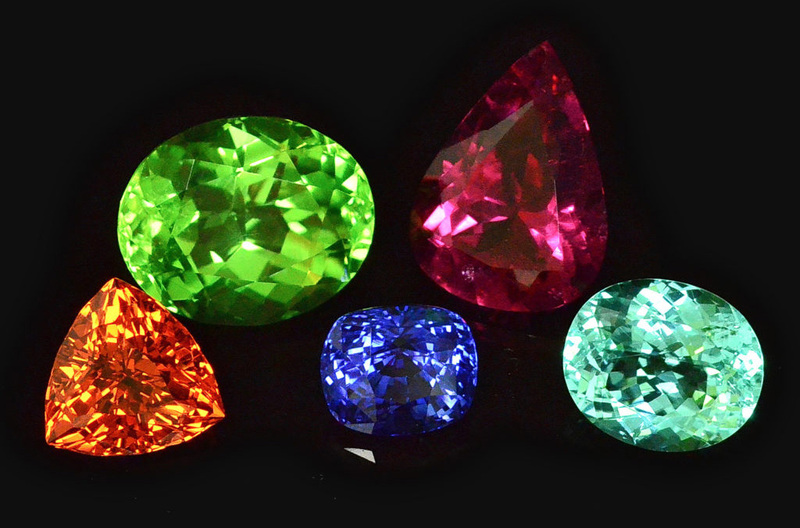 Our gems are from Afghanistan and range from turquoise blue green to darker greenish blues. Most of these gems are emerald cut to take advantage of the natural crystal shape. 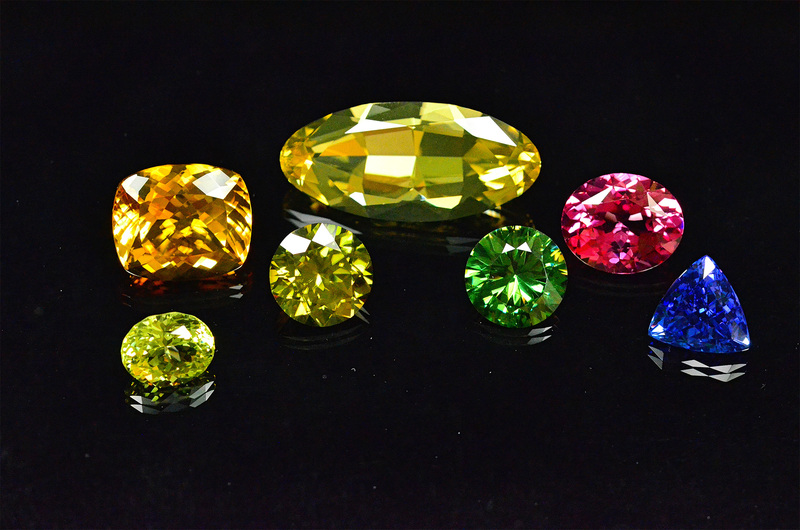 Sapphire comes in a wonderful range of color: violet, green, yellow, orange, pink, purple, and intermediate hues. 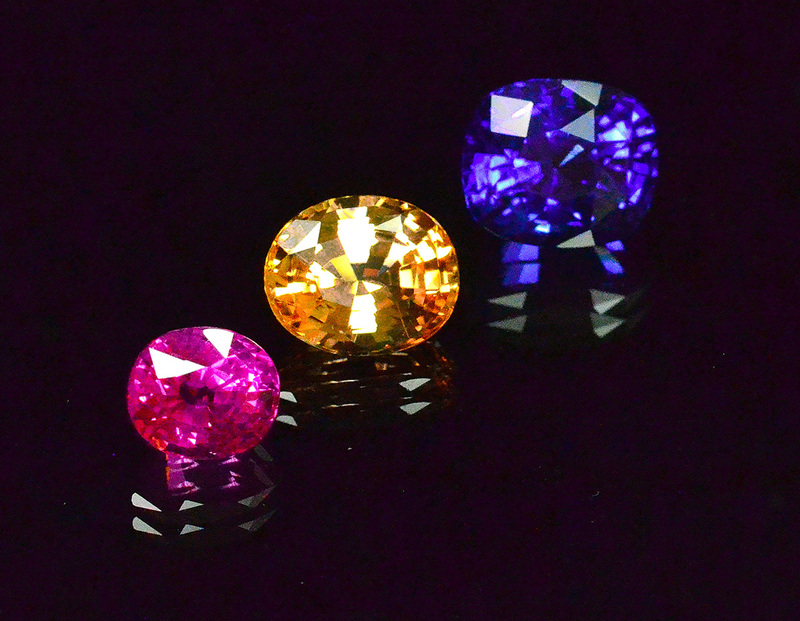 Some stones exhibit the phenomenon known as color change, most often going from blue in daylight or fluorescent lighting to purple under incandescent light. Sapphires can even be gray, black, or brown. Sapphire has a rich history, long known for its beauty and value.